With Spring upon us, Summer will be here before you know it! During the Summer, going to the gym might be one of the last things in mind for people who go to your gym. People have planned vacations, go to baseball games, and just about everything else planned before making it to the gym. Yes, people get in shape for the Summer, but events and activities typically get in the way during this time. Your gym doesn’t have to be empty during the Summer if you’re proactive and start early. The key is to stay proactive while keeping members engaged and motivated during the Summer months. In this article we will explain how to ensure members create habits that keep them in the gym, along with some ideas on how to maintain steady business during these normally slow months. It’s your goal to make sure that by the summer time your clients keep the habit of going to the gym. Unfortunately, some people will drop off or simply won’t adjust to these new habits. As a gym owner, it’s your job to keep members engaged! Here are a few ideas of programs to implement before Summer, starting in May and June! -Accountability Check-Ins, Done Weekly. These can be done by trainers and done via text, email, or within your facility. You can also send newsletters to ensure members are doing what they should be. -Workout Contests! Another great idea which is easy. For example, see who can attend the most classes within 2 months, and incentive prizes! -Weekly Seminars/Discussions: Make sure to cover important fitness topics with members such as nutrition, mobility, and recovery. Spreading important knowledge will ensure they are doing their due diligence outside of the gym. These are all ideas which can gradually be worked into your gym, so you don’t scare members away by implementing everything all at once. The good thing is that not everyone will need to be coaxed with programs like this, but for some people this is just what they need to get on the right track! For example, regular members won’t need an introductory class session or need to bring a friend with them to the gym. Instead, offer introductory classes to newer members or those who attend your facility on an inconsistent basis. Having a log of check-ins or classes can give you this information. Once they attend an introductory class, offer them occasional accountability sessions and consultations to ensure they are on track. 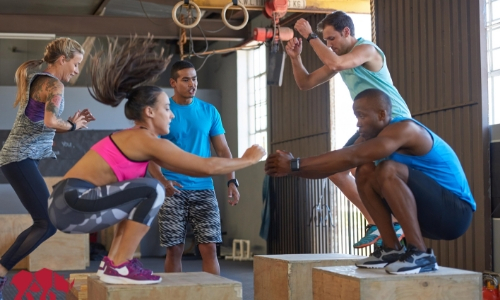 These are ways to ensure more people are engaged at your gym in the summer. These are just a few tips to increase retention during the Summer months. With a little work, your gym will be ready for Summer in no time and ready when the time comes. Still looking for more? Get your copy of our guide, 5 Steps to Member Retention, to get insights on keeping members engaged with your gym for now and into the future.